This package contains eight (8) - - 4" x 6" Colored Stickers Sheets. Use them for any craft project, scrapbook or planner. 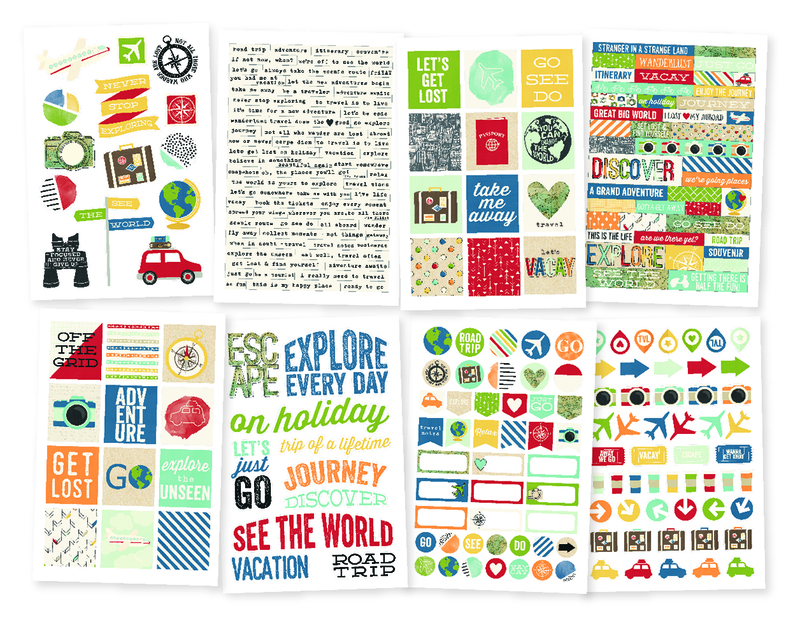 Part of the Travel Notes Collection by Simple Stories. Look for the coordinating Travel Notes Collector's Essential Kit.